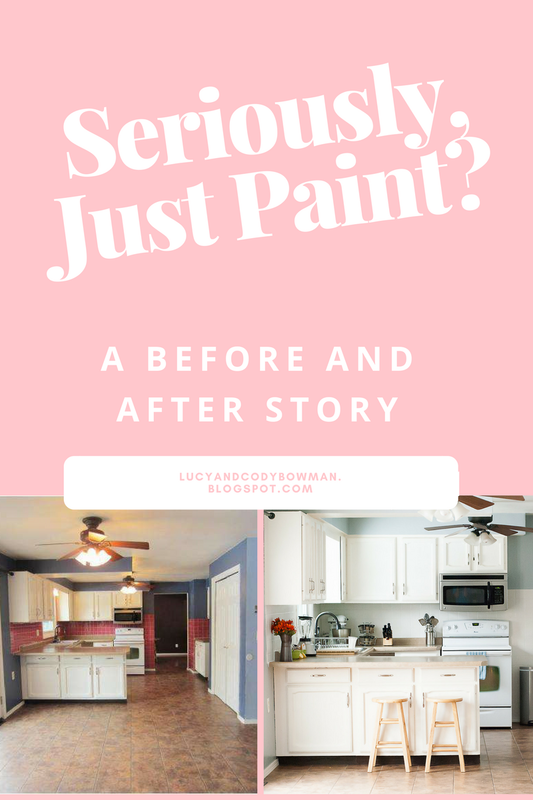 Paint can be all you need to completely change a room. Check out the transformation in our kitchen. As you can see, I did actually make a decision. I used a picture of an Ikea kitchen color scheme that I loved and decided matched it as well as I could. The hard part was coordinating the other rooms that were visible from the kitchen. It isn’t perfect, but it works and no one has complained about the colors. All that has been done to the room is new paint on the walls and new paint on the tile. It was not the ideal fix, nor the most quality, but it definitely changed the look and feel of the room. I painted the tile with regular white latex paint (2-3 coats) and then added a polyurethane to the top. 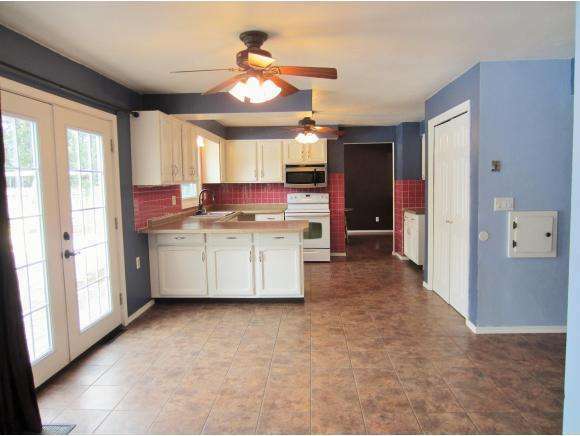 The paint color on the walls is Sherwin Williams HGTV Storm Cloud. So, my point in sharing this is that sometimes it is not what you want to do, but what you can do, and that can be enough. Eventually I will replace just about everything in this room, but for now, I can be in this space and be happy. The light pours into this part of the house and it almost helps me forget about the new countertops and backsplash that I want. 😉 For real though, I am practicing seeing what I do have instead of what I do not! Isn’t it incredible what paint can do? What part of your home has beautiful light? 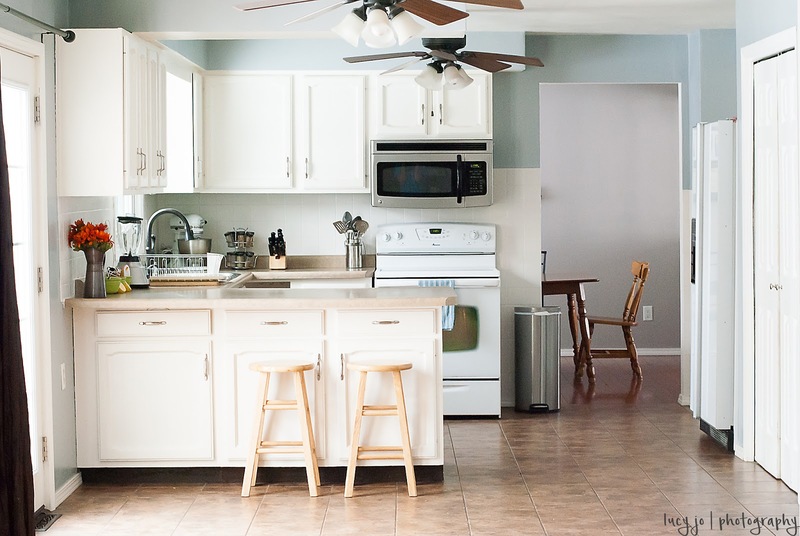 What is your favorite part of your kitchen? What is the first thing you would change? It looks so open and happy! I love what you have done with it!